In the form of the window display that the studio conjured up for the windows at V.O.D. via my lovely co-worker Catie's Instagram... 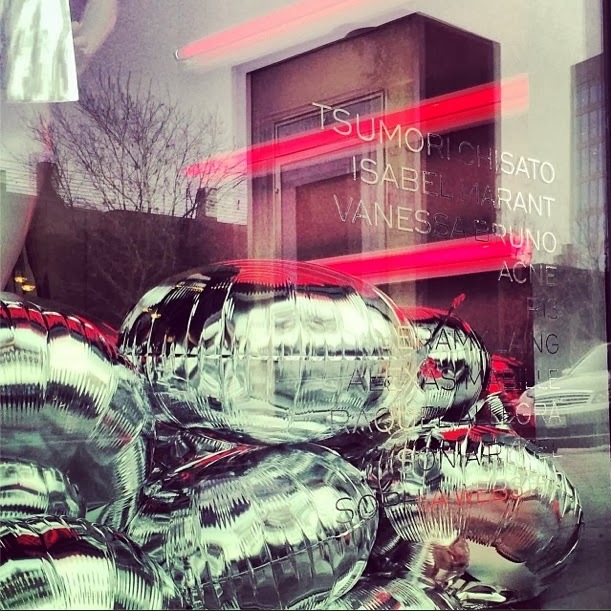 It seems we are feeling the silver mylar balloons of late (see: here and here) -- big time. Hello shiny metallic goodness. Hope your weekend is festive friends!